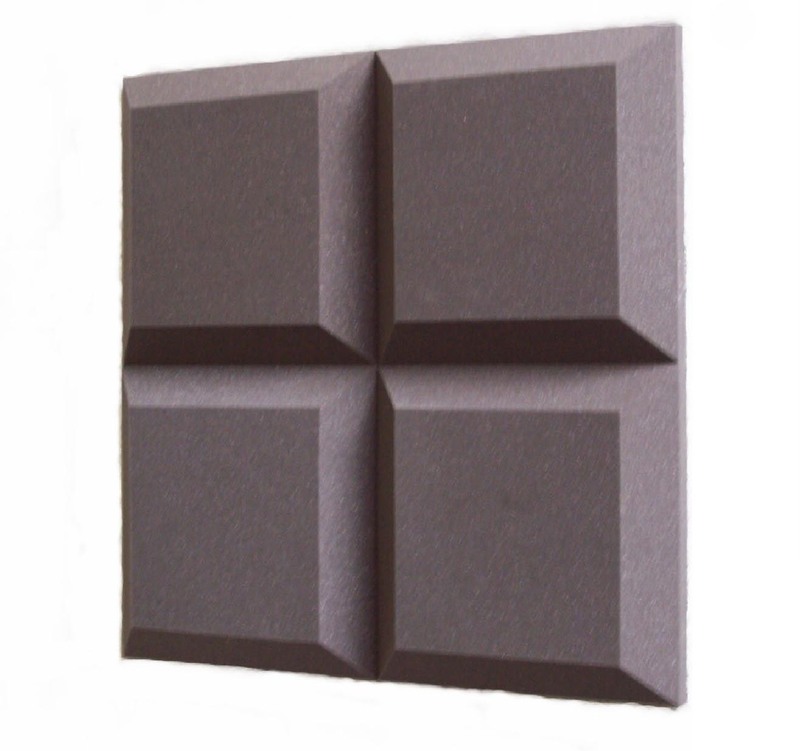 Sound absorbing Tegular Tiles are a plain tile with bevelled edges. 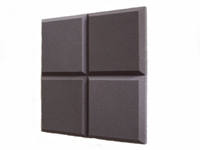 They offer greater versatility for studio design and are very efficient sound absorbers. An inexpensive method of controlling the studio acoustics. Can be mixed and matched. 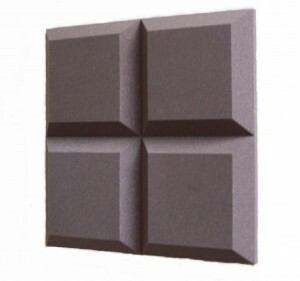 The sound absorbing Tegular tiles are a plain tile with bevelled edges. They offer greater versatility when it comes to arranging your tiles in your studio, look very effective and are very efficient sound absorbers. Our Tegular tiles are all 15” (381mm) square and available in three different thicknesses, 2” (51mm), 3” (76mm) and 4” (102mm) with 24 tiles in each pack covering 37.5sqft (3.48sqm). The bevelled edges taper down to 1” (25mm) so that different thickness of tiles can be mixed and matched to suit your requirements. 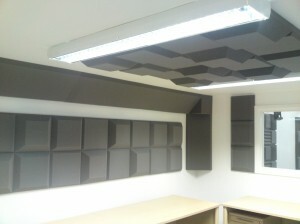 The thicker the sound absorbing tiles the lower frequencies they will absorb. If you are struggling with a lot of low frequency reverberation and low-end build up these products are the ones for you. They also add more quality to your recordings which is most important but also make the room look professionally designed. Studios that look drab and untidy can affect the quality of your work. In addition, you cannot expect your recordings to show their true perception and quality if the studio you are working in doesn’t give your work the justice it is due? These innovative sound absorbing tiles are vital to any room whether it be for your recording studio, control room or live room. The Tegular Tiles lift you up to a level above the competition. 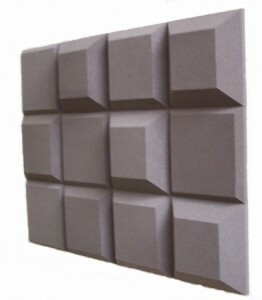 They can also be mixed and matched with our Egg Box type foam tiles as well as the acoustic wedge tiles. The Absorption Coefficients for these products can be seen on our Tech Spec page.